Drag and drop files to other applications, if you’d prefer to use your own FTP client. Organize a messy folder of downloaded content into 1 of many different directory styles. 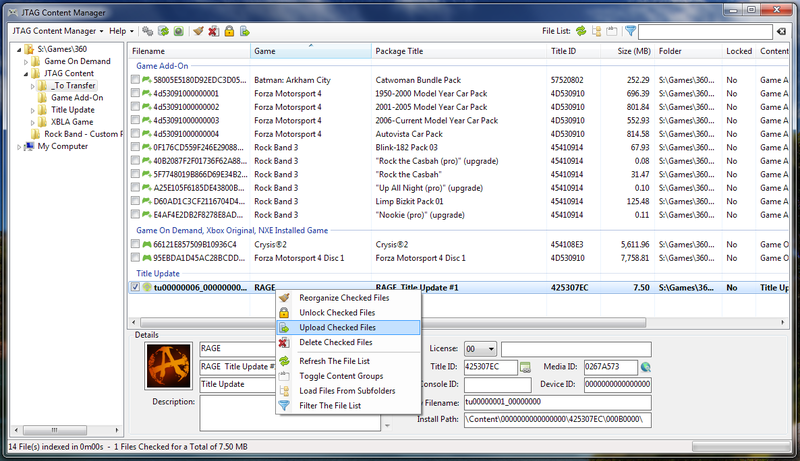 Restore the original filenames for XBLA and DLC files. View the MediaID of default.xex files. Browse your 360′s hard drive directly, using FSD. This allows you to delete, unlock, edit and copy the contents of the 360′s internal drive over the network. Potete scaricare il tool direttamente qui.